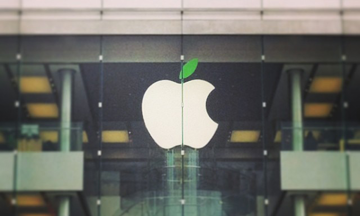 A number of Apple Store customers and passersby have posted to Instagram and Twitter pictures of the specially decorated Apple logos. 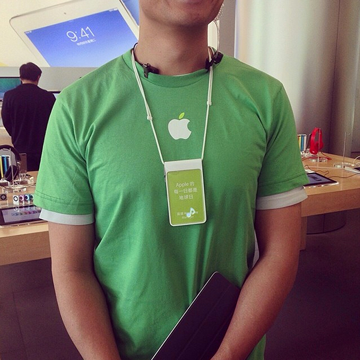 Additional photos, retweeted by ifoAppleStore's Gary Allen, show employees from outlets where the local time is already Tuesday (Earth Day) sporting green shirts emblazoned with the green-leafed icon. 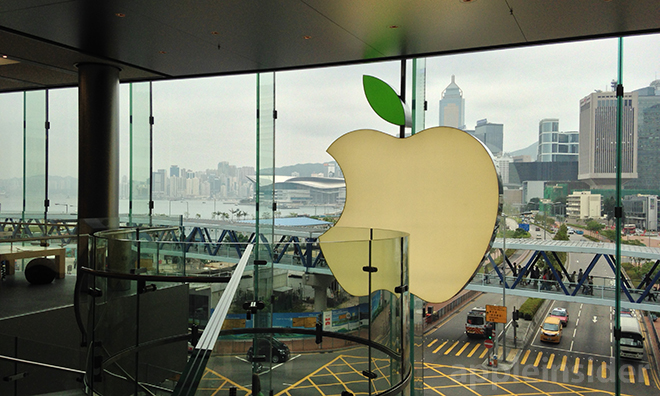 As seen in the above photo from the Apple Store in Hong Kong's ifc mall, the top leaf portion of the trademark logo has been colored green, while the bottom apple section remains a standard white. A number of examples from a variety of stores can be found in the gallery below. 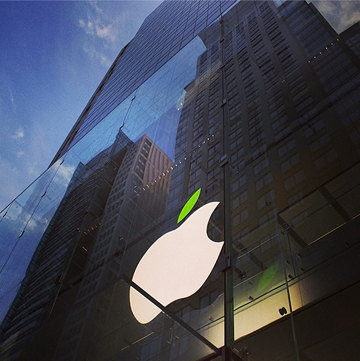 The clever design tweak comes one day following the launch of Apple's "Better" environmental campaign. On Monday, the company released a short video narrated by CEO Tim Cook touting numerous Apple projects aimed to not only decrease the company's impact on the environment, but to aid in the world's health. 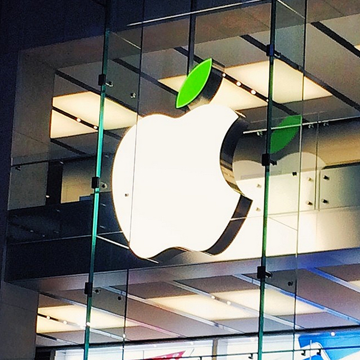 Cook's ad was posted alongside a revamped environmental responsibility mini-site on Apple's official webpage that walks visitors through major company initiatives like hardware recycling and the use of renewable energy at data centers, corporate installations and retail stores. The well-timed environmental push was planned to coincide with Earth Day. 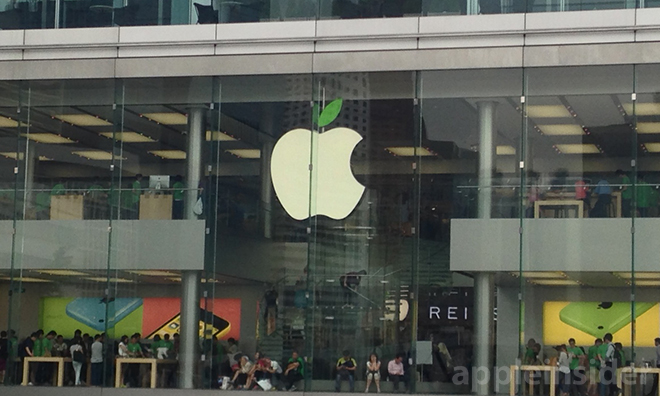 Apple Stores rarely modify the company's logo save for World AIDS day when the outlets tint the entire apple and leaf red to match a special line of (RED) products. Apple donates a portion of (RED) sales to the Global Fund to fight AIDS in Africa.